Freethinkers Anonymous > Adventures In Busing. One of the downsides of riding the bus is I’m on someone else’s schedule. If I’m not at a stop at a specific time, or at least close enough that the driver can see me waving, the bus ain’t gonna wait around for me, especially in Nashville where the minimum wait time between buses is at least fifteen minutes and usually more. A little over a year ago when I was in Chicago I happened to notice that buses went by about every five minutes and there was the El that went by almost as frequently and I thought, what magical place is this? but that’s another story. Most of the time time isn’t a problem–I know when to leave work, and about when the bus will arrive–but then I have chance encounters with people on the street that make me wish I had a little more flexibility. For a long time there was a guy who stood on the corner across from where I work selling The Contributor, which is a newspaper written by and about people who are homeless in Nashville. It’s a way for them to earn money and find some support. I always felt guilty having to hurry by this guy and if I had a dollar I would stop and buy a paper from him, but mostly our interactions were limited to, “Hey, how’s it going?” He’d found a really good corner to sell newspapers, right at the intersection of two major streets, and close to a cluster of fast food places. A couple of them gave him free food in exchange for telling people how they helped him or giving out coupons with the newspapers. Sometimes he’d tell me he had a new issue and if I didn’t have a dollar I say, “I’ll get it tomorrow,” and the next day I’d make sure to have a dollar. After a few times he learned to trust me. And one day he stopped me and said, “Hey, I’ve got a new issue and this one’s really special. If you haven’t got a dollar today take it now and you can pay me tomorrow.” I said sure, and then he showed me that he’d written the front page article. It was all about how he’d finally saved enough to marry his girlfriend. There was a even a large picture of the two of them, he in a suit and she in a wedding dress. I read the article on the bus. They were planning to move back to his home state, temporarily at least, so he could take care of some legal issues he’d left behind when he became homeless. I really made sure to have a dollar for him the next day, and to congratulate him; I already felt like I’d missed a chance to get to know him, and I didn’t want any lingering debts. He disappeared not long after that, and I still wonder sometimes what’s become of him. Instead, when the light changed, I crossed the other street and went on to the bus stop. I still regret not following him even though it would have meant being late getting home. How do you prepare for such an unexpected encounter? So I was walking home from the bus and noticed a small envelope in every driveway. They were rectangular and about the size of any prepaid card. What’s this? I thought. A gift for all the residents of the neighborhood? Yeah, I’m not that naive; I knew it was an advertising ploy, and a cheap one at that. Whoever was behind it was too cheap to mail us their advertising. Instead of paying for a bunch of cheap postcards they could mail out they spent money on gas and time driving around the neighborhood throwing out a bunch of small envelopes they’d bought. At least they were smart enough to know they’d be breaking the law if they put the envelopes in peoples’ mailboxes. Mailboxes are only for stamped mail delivered by the postal service, although misuse of a mailbox isn’t exactly a frequently prosecuted crime. I do believe the FBI tried to pin it on Al Capone at one point but he successfully argued that he’d put a stamp on the mackerel wrapped in newspaper he left in the mailbox of his client, and the judge got the message. Here’s another fact about mail: if you get anything in the mail that you didn’t specifically order you’re under no obligation to pay for it. I learned this when I worked in a library mailroom and companies would sometimes ship unsolicited books to the library and expect to be paid for them, and I’d send back a nice letter referencing the specific law that addresses unsolicited mail. I still have that letter and occasionally send it to Nigerian princes who email me, but that’s another story. Anyway I got a little excited as I got closer to home. I wasn’t going to steal an envelope from any of my neighbors, but I figured I’d find out what the advertising ploy was as soon as I got home. Except when I got home there wasn’t one in our driveway. It’s one thing to get a cheap sales pitch thrown in your driveway but I was too upset about being rejected to think of what the other thing could be. Why were we not good enough? What were we, chopped liver? Maybe not–I like chopped liver and I’m grateful to Ann Koplow for providing some background on that saying, which I think should be changed to, What am I, steamed broccoli? Anyway the next day I found one of the envelopes in the street where someone had thrown it, or maybe they drove over it and dropped it somewhere. It was a business card some kind of house cleaning service and I felt better that they obviously felt our house didn’t need cleaning. It was exterior cleaning; if it had been interior cleaning I’d have gotten really paranoid about how they knew the inside of our house didn’t need cleaning. And there was a glass pebble in there to give the envelopes some heft for throwing. And I want that company to know I’m keeping the pebble. It was a lot better than having to rely on the WiFi signals around the bus. Sometimes it’s possible to get a signal from a fast food restaurant at a red light but mostly signals are touch and go. And here’s a glimpse of my inbox. DON’T JUDGE ME! It almost made up for the fact that the Nashville MTA’s bus tracking app seems to be permanently offline now. Well, it’s online. It just doesn’t track buses anymore. They even tell you that on the WiFi page. And the next day I learned that not all buses have WiFi. Just the new purple buses with the slippery plastic seats. I learned it because I was picked up by one of the old standard buses that doesn’t have WiFi. On the bright side the driver looked a lot like Katharine Hepburn. There’s a story about a country farmer who’s never seen or heard of a car and when one drives past his farm he runs and gets his shotgun and fires at it several times. The driver jumps out and runs off into the woods. The car, still running, rumbles off down the road. The farmer’s wife comes out and says, “Well, did you kill it?” The farmer says, “No, but I made it let go of that poor feller it had a hold of.” Maybe it’s just a story, or maybe it’s based on a real event. I had a distant relative named Uncle Rupert who was known for shooting at almost anything that came onto his property–squirrels, deer, encyclopedia salesmen, endangered birds–although he never, as far as I know, shot at a car. He did, during World War II, try to drive to Europe only to turn back when he realized it was full of foreigners, but that’s another story. I thought about that story the other day when I heard about people in Phoenix, Arizona, violently attacking self-driving cars, including at least one person who fired a gun at one, not realizing there was a passenger in there and that a self-driving car may not be as quick as the older models to let go of whomever it’s got a hold of. Anyway it got me thinking about the major cultural shifts that self-driving cars will bring, and I do think they’re coming. The recent developments of self-driving vehicles may not be the nail in the coffin of the traditional automobile but I think the undertaker’s making measurements. And as a modern mode of transportation the automobile has had a profound cultural impact in its time and the self-driving car doesn’t represent that big a change. It’s merely the next stage of a gradual evolution. Over the 20th century the automobile changed from a novelty to a necessity, from a short-range way of getting around to a device that can carry a person hundreds of miles. The cell phone has made it possible to reach a person even if they’re driving, and GPS devices make it almost impossible, or at least really difficult to get lost, unless you’re out of signal range, and it’s increasingly hard to find a place where there isn’t a signal. The days of unfolding a giant map and trying to figure out if you should have made that left turn at Albuquerque are gone. It’s hard to predict what changes self-driving cars will bring but, among other things, the driver’s license will no longer be a rite of passage. Kids will no longer need their parents to shuttle them around, not when the car that carries them to soccer practice can drive itself. I’d like to think the drive to and from work would be a nice chance to grab a quick nap but for most people it’ll probably be work time, which gives a whole new meaning to telecommuting. It was that last thought that made me realize I was contemplating all this on the bus and that, aside from removing the driver and being a little more convenient, or a lot more convenient, driverless cars won’t be that much different from public transportation, which has me already looking to the horizon to wonder what the next big advance will be. I hope it’s that we can drive to Europe. Last year I wrote a post about the length of years throughout the solar system, comparing all the planets and Pluto to an Earth year. To recap: it takes Pluto 248 years to orbit the sun, 165 years for Neptune, 84 years for Uranus, a little over 29 years for Saturn, 12 years for Jupiter, 687 days for Mars, 225 days for Venus, and 88 days for Mercury. This year I thought I’d do something a little different, inspired by Voyager 2, which, on December 10, 2018, left the solar system and became the second human-made object to enter interstellar space, following Voyager 1 which crossed over in 2012. Voyager 2 is currently moving along at more than 34,000 miles per hour, and it took a little more than forty-one years to travel eighteen and a half billion miles. Radio signals from the craft, still being sent, take about sixteen and a half hours to reach Earth. That got me thinking about speed, specifically the speed of light. Voyager 2 isn’t anywhere close to the speed of light, which is 186,000 miles per second, and technically can’t reach that speed since mr = m0 / sqrt (1 – v2 / c2 ), but that’s another story. It takes light from the sun three minutes to reach Mercury. It takes light from the sun six minutes to reach Venus. It takes light from the sun eight minutes to reach Earth. It takes light from the sun about twelve minutes and forty seconds to reach Mars. It takes light from the sun about forty-three minutes to reach Jupiter. It takes light from the sun more than seventy-nine minutes to reach Saturn. Does sunlight ever reach Uranus? Yes, it does, but it takes sunlight more than two and a half hours–almost 160 minutes–to get to Uranus. It takes light from the sun more than four hours to reach Neptune. It takes light from the sun five and a half hours to reach Pluto–just under how long it would take to fly from New York to Los Angeles, minus the time you have to spend in security, which takes about two and a half hours if they have to examine Uranus. 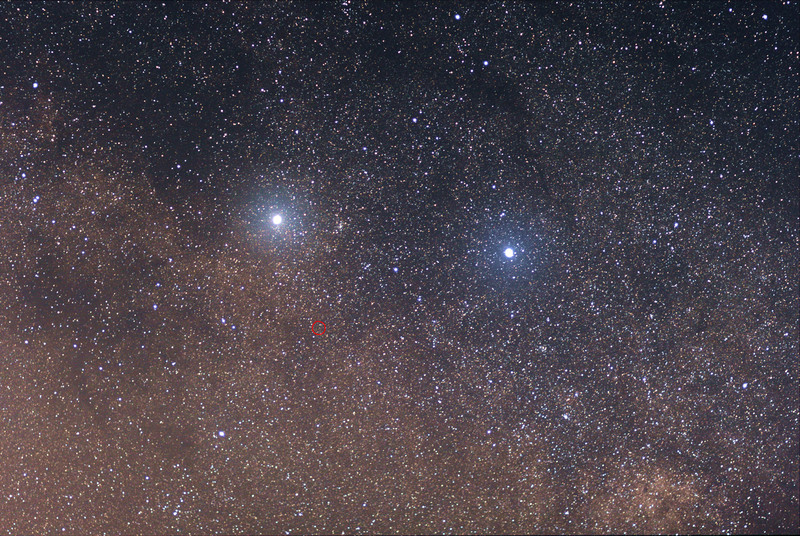 And it takes that same sunlight four and a half years to reach Alpha Centauri, our nearest stellar neighbor. At its current rate Voyager 2 will get there in about eighty-six thousand, two hundred years, minus the time it’ll have to spend going through security. Will we eve get there? Maybe, but the future is very hard to predict. It was early so I boarded the bus in the dark. Well, it wasn’t just early–we haven’t reached the solstice yet so the days are still getting gradually shorter. Every year as the solstice approaches I wonder the same thing, about how early people might have felt about the nights growing steadily longer. Humans first appeared in Africa, close enough to the equator that they wouldn’t have seen much change in the length of days. As they spread to other latitudes was their migration slow enough that they took the change in stride, or was there a year when they were terrified there’d be a time when the sun would dip below the horizon and never return? Either way there must have been an unease that gave way to solstice celebrations that we still have today. Riding the bus in the dark didn’t bother me but I was annoyed that I’d missed the Geminid meteor shower the night before. It wasn’t because I’d overslept but because the skies were cloudy all night, meaning I’d missed what was supposed to be a pretty spectacular display averaging more than a hundred and twenty meteors per hour. And then I started thinking about how meteor showers are caused by the Earth passing through swarms of meteors, worlds–or perhaps a world and the remnants of one–colliding. And that got me thinking about the approaching solstice and how our planet is in constant motion. Not just our planet, either, but every planet of our solar system, and our own sun is in motion as it bobs up and down in an arm of the Milky Way, itself slowly turning and moving through space, growing ever closer to our nearest neighbor, the Andromeda galaxy. All this makes specific locations in space, and even time, relative, which raises the question: why is it on Star Trek that the Enterprise always arrives at a planet during working hours? Then again there’s the old saying that in space it’s always five o’clock somewhere, but that’s another story. All this was buzzing in my head but at the same time I was keeping an eye on the road ahead to make sure I didn’t miss my stop. Then, about four blocks from where I wanted to disembark, the driver pulled over. There weren’t many people riding the bus and he’d been moving along at a pretty good clip so he was probably ahead of schedule and needed to stop. I understand the necessity but it also annoys me when the bus comes a stop. I want to get where I’m going. We were close enough that after a few minutes I stepped off and started walking. And I’d waited just long enough that as soon as I was ten feet ahead of the bus it started up. “Naturally,” I muttered. “Sure,” I said, and climbed back aboard. I only had a short distance to go but I wanted to keep moving. Sometimes when the bus is running late, or if I just know it’s going to be a while, I’ll walk to the next bus stop, or the bus stop after that. Or the one after that. Or I’ll walk toward downtown–I catch the outbound bus to get home in the afternoons, so if I walk toward downtown I’m walking toward the oncoming bus so it should get to me even sooner, although it never seems to work out that way. And I have to be careful to be at a bus stop. Some bus drivers will buzz right by me even if I’m standing at a stop and technically you can flag down a bus at any corner, but I think it improves my chances of getting picked up if I’m standing at one of the regular stops. That might make you wonder why I don’t just pick one stop and stay there and the answer is I get restless just standing around. I’d rather be on the move if it’s in the wrong direction. Sometimes, though, I come to a bridge–or rather an overpass over the interstate–and even though they’re sort of built for pediestrians, with a sidewalk, it’s a very narrow sidewalk, and if I want to make the crossing I’m forced to walk between cars rushing by and a very low barrier that I worry I could easily fall over and into cars rushing below. So I really admire four guys in Vladivostok who decided on a creative way to get across the Zolotoy Rog Bridge, a striking tourist attraction which used to be open to pedestrians but isn’t anymore. They dressed up as a bus. And that’s pretty brilliant. Looking at the pictures I’m surprised they didn’t get away with it. Okay, yeah, I am. It was probably a form of protest since city residents complain they’re being denied easy access to the city center. Still it’s something I might try, or I would if it wouldn’t lower my chances of being able to catch a real bus.